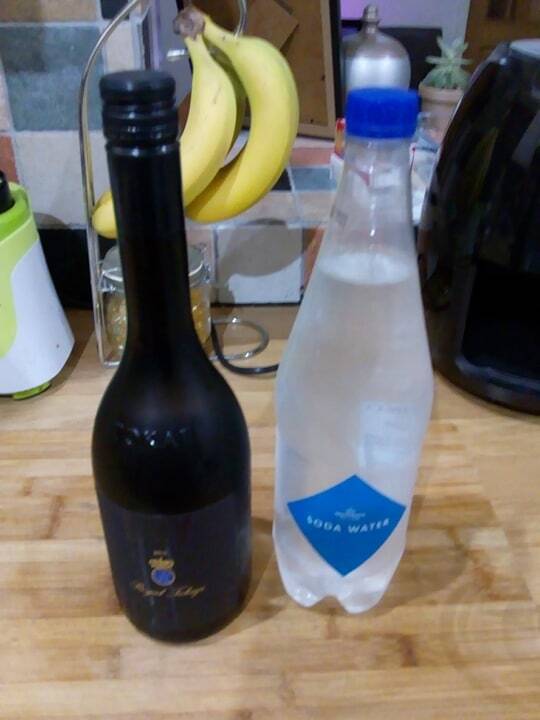 Onwards to Italy. 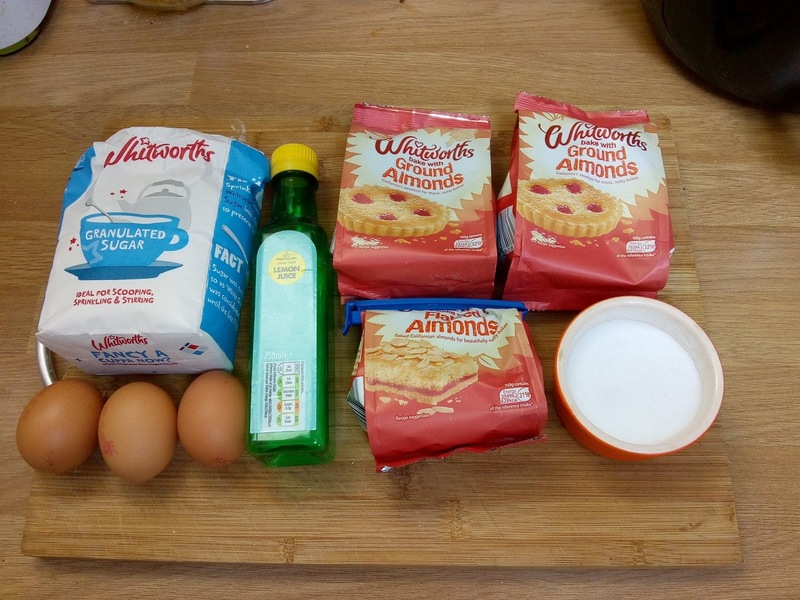 Back in 2013 I made Tiramisu because it was one of my kids' favourite desserts. I'm looking forward to sampling more Italian foods at home. I've always enjoyed Focaccia bread but never made it myself. I'm curious to see how it turns out. Let's see! 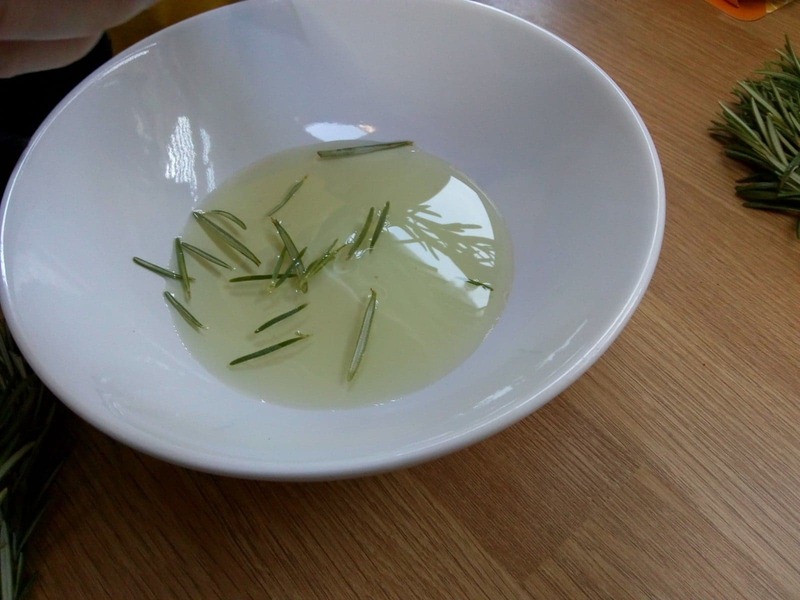 Put 6 tablespoons of oil in a bowl and add the rosemary leaves. 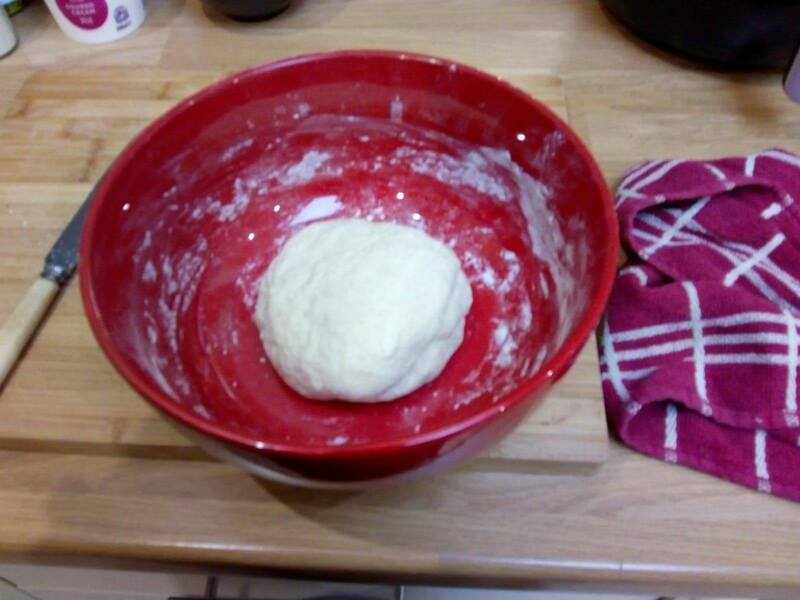 I set Leigh off doing that for me while I made the dough. 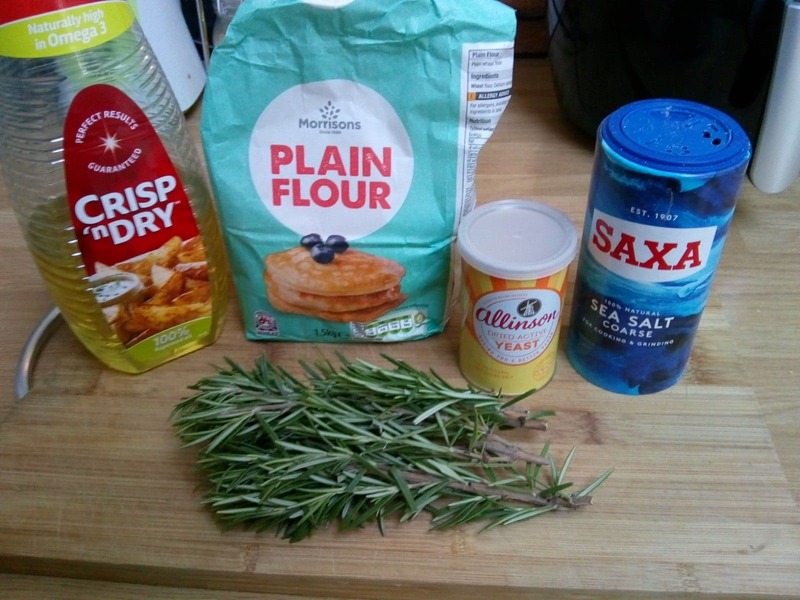 Put the flour, yeast, remaining oil and 1 teaspoon of seasalt in a bowl. 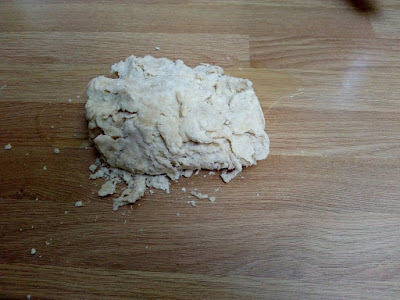 Slowly add 175ml of water and stir to make a dough. 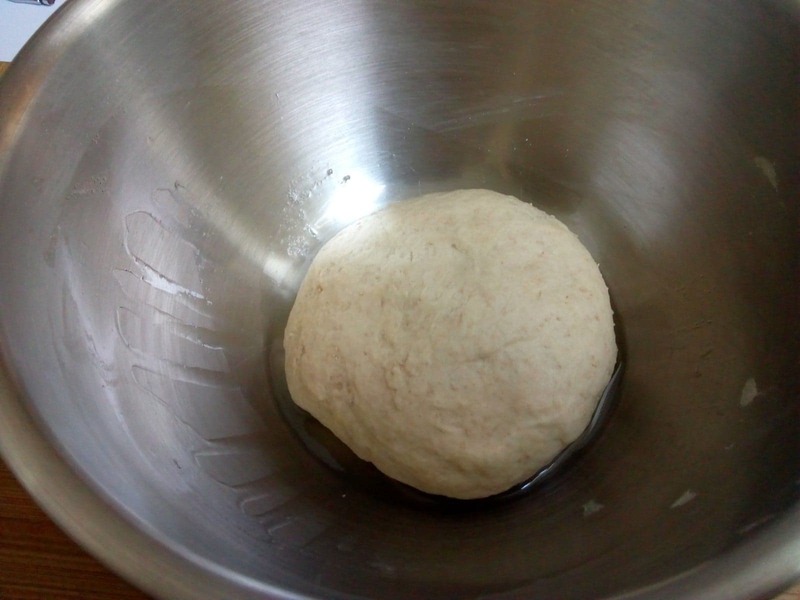 Oil your kitchen surface and knead the dough for 5-6 minutes until it becomes smooth and elastic. Place the dough in an oiled bowl, cover and leave to rise for 1 hour. When it has risen punch it back down and shape it into a large rectangle. 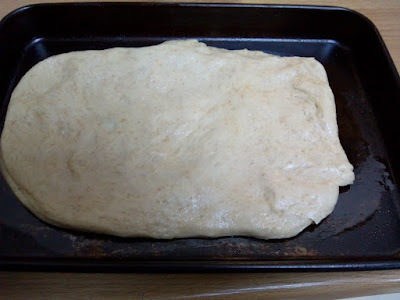 Let it rise again for 30 minutes. 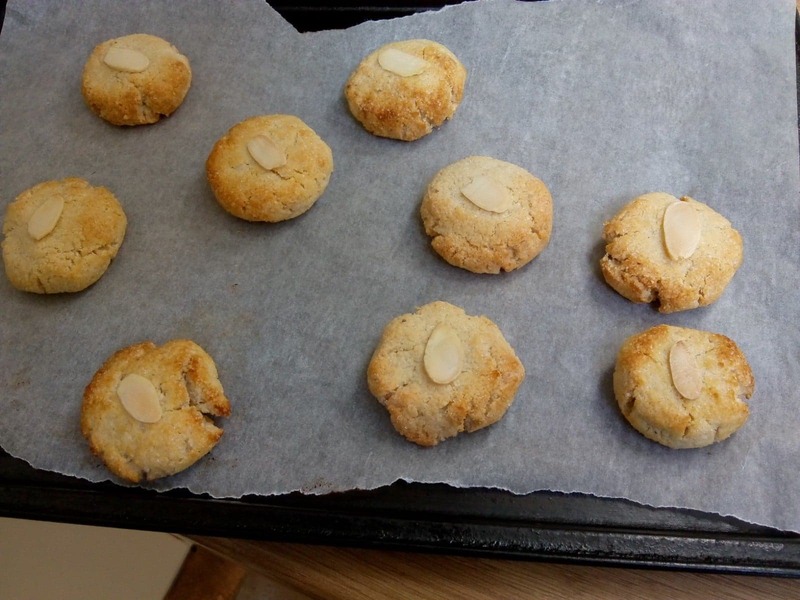 Place on an oiled baking tray. 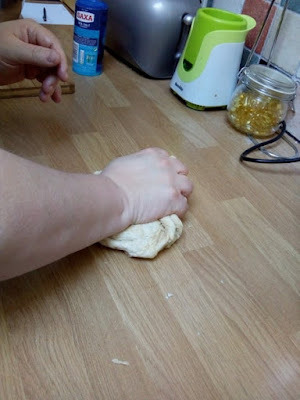 Use your finger to poke dimples in the bread. Put the oil and rosemary on the dough letting the oil pool in the dimples. Sprinkle with more seasalt flakes. 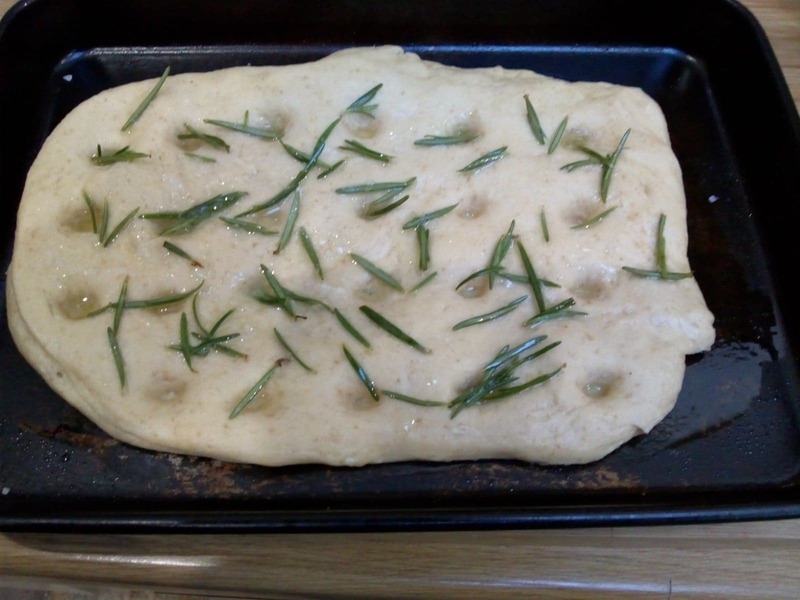 Bake in an oven at 220 C for 20 minutes. Serve while still warm. Ooh, it was delicious! 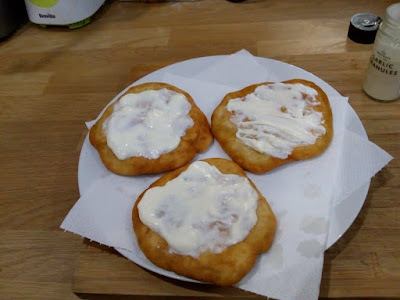 Salty and oily in taste, also soft inside with a nice crust to it. We all enjoyed it. 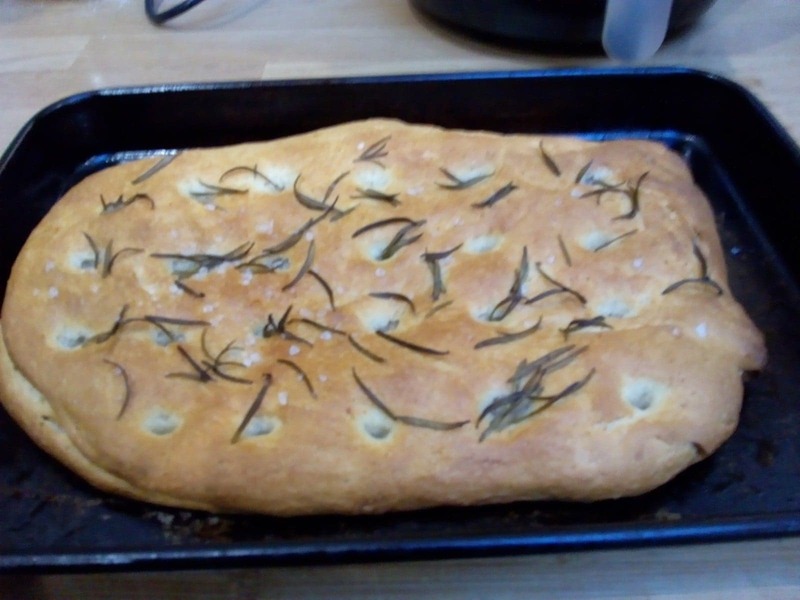 especially Erin, who loves when I make fresh bread. 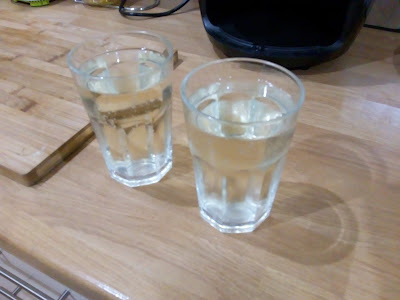 It was easier to make than I expected so it could become a regular on our tea table. 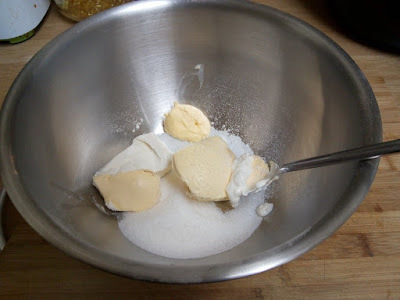 In a bowl mix together the cream cheese, butter and sugar. 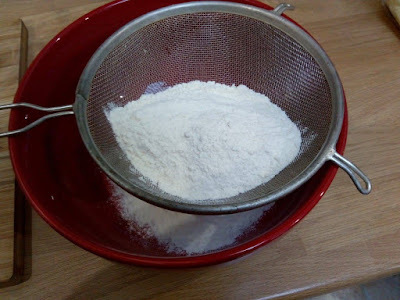 Sift in the flour and salt. 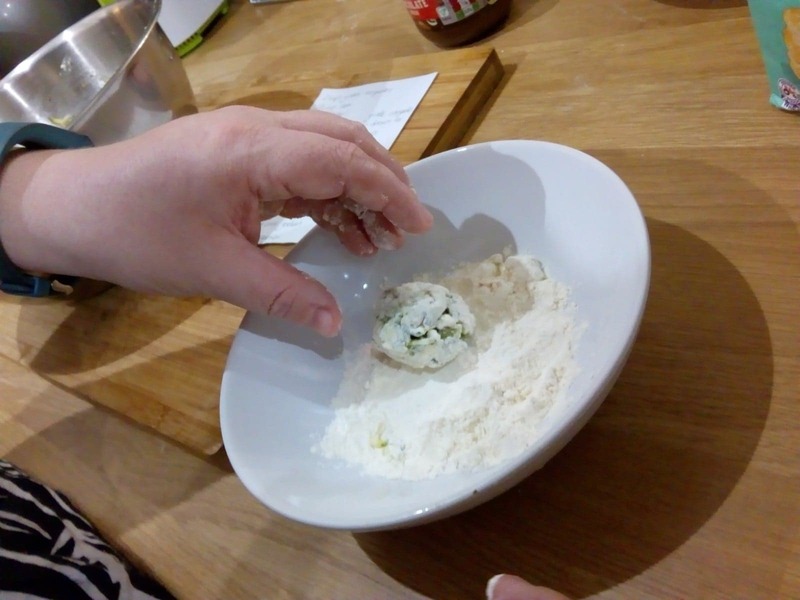 Stir in the flour and form into a ball of dough. Wrap the dough in clingfilm and put it in the fridge for an hour. Roll out the dough on a floured counter. Make a large square with the dough and cut it into small squares. 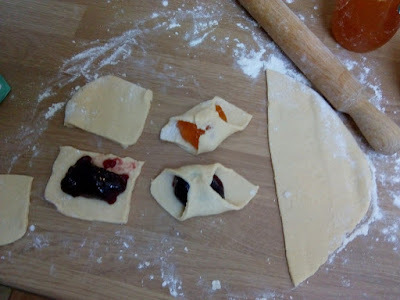 Add a spoon of jam to the middle of the square and then fold over the opposite corners. Pinch them together and then place the cookie on a tray lined with baking paper. 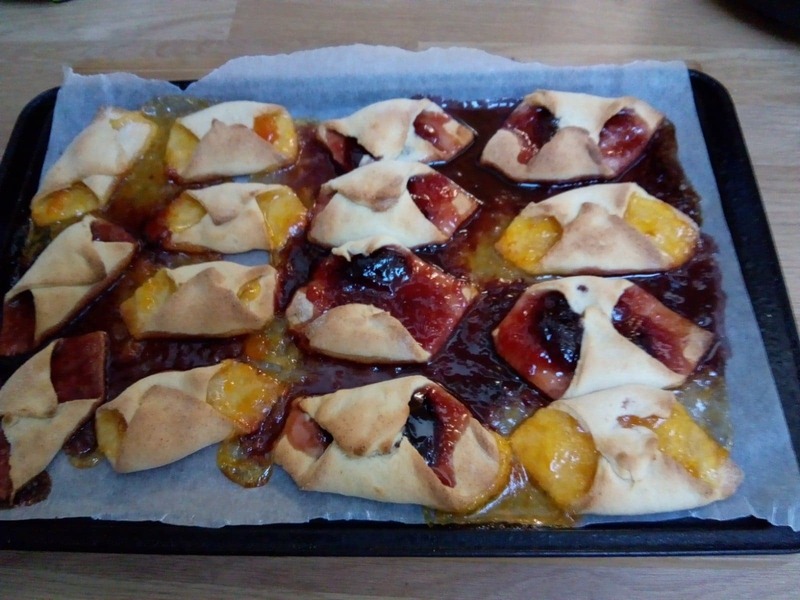 Bake for 15 minutes at 190 C. This is what happened to mine! Mix the water and salt together then stir until the salt is dissolved. Sieve the flour into a bowl and stir in the yeast. 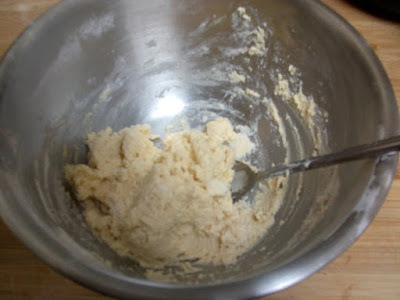 Mix the water into the flour to form a dough. Add more flour if the dough is too sticky. Leave the dough to rise for about an hour. 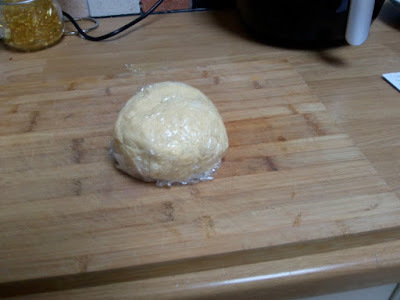 Cut the dough into 8 and form into rough circles. Fry the circles in hot oil turning halfway through so they are browned on each side. When they are done, drain them on kitchen towels. Spread a tablespoon of sour cream on each one. 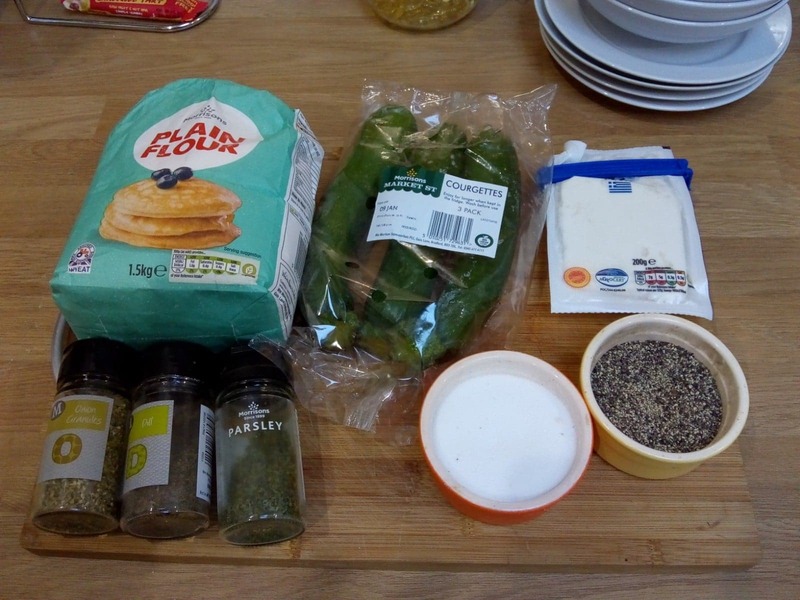 Cover the sour cream with grated cheese and sprinkle with garlic granules. Eat while still hot. 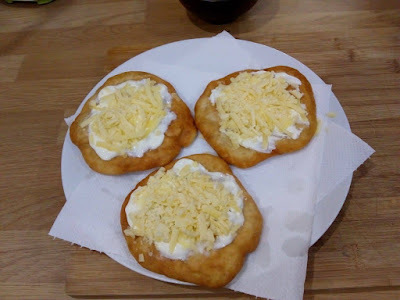 Lángos are delicious! 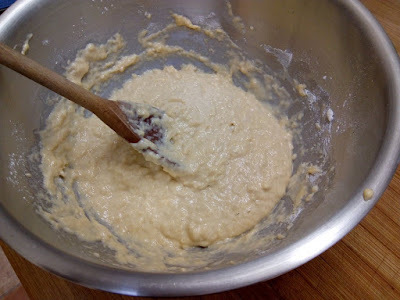 It's amazing that such a simple dough can taste so good when fried. 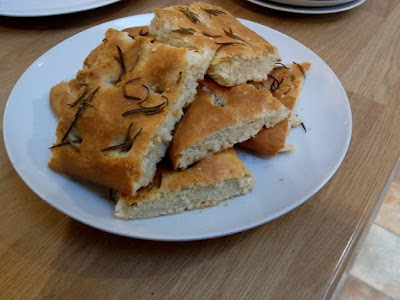 The bread was crisp to the bite on the outside but soft and springy on the inside. 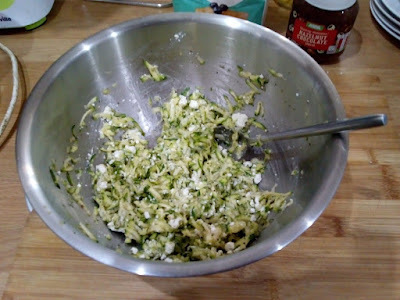 The topping was lovely too, the cheese melted slightly and the garlic complimented it all perfectly. Everyone enjoyed them and I made them again the next day by request. 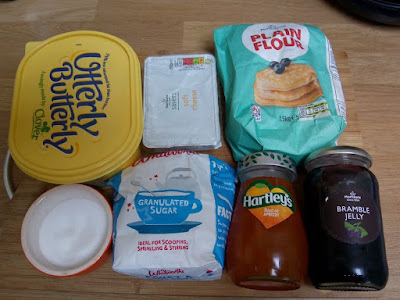 I'm keen to explore some different toppings to try on them another time too. Lovely! 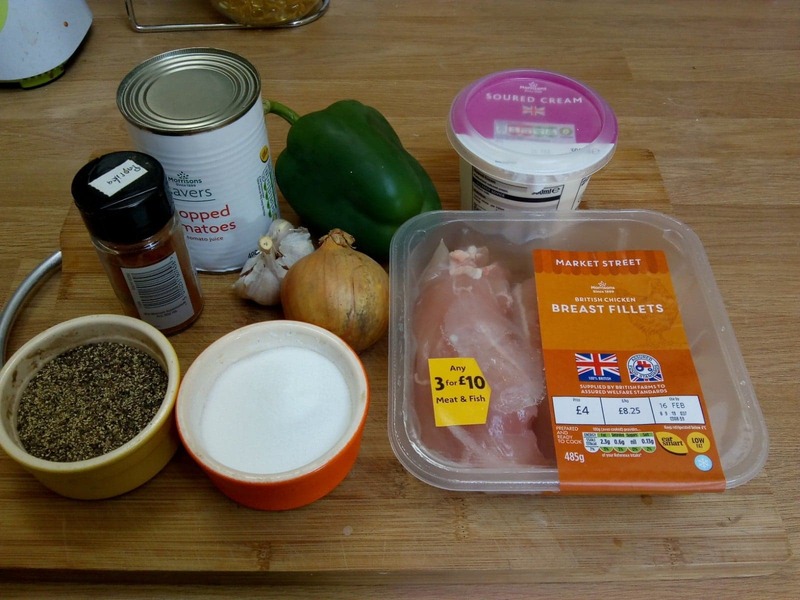 This is the recipe for the Nokedli egg noodles we made to serve with the Chicken Paprikash last week. We love eggs so were interested to use them to make something a bit different. 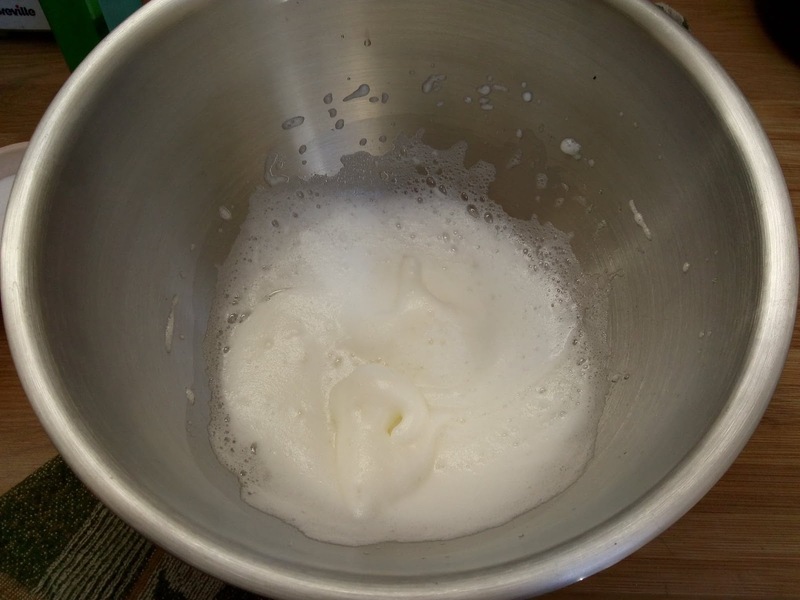 Put a large pan of water on to boil. 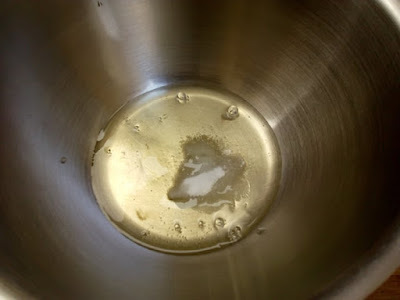 Add 2 teaspoons of the salt and the oil to the water. While it's heating up you can make the noodle dough. 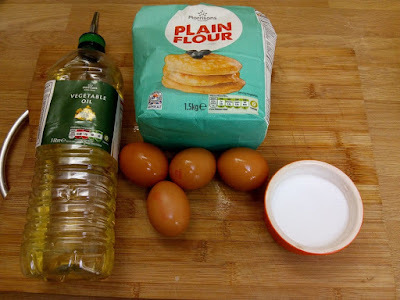 Whisk together the eggs, flour and remaining salt. It's a weird sticky dough but that's how it's meant to be. 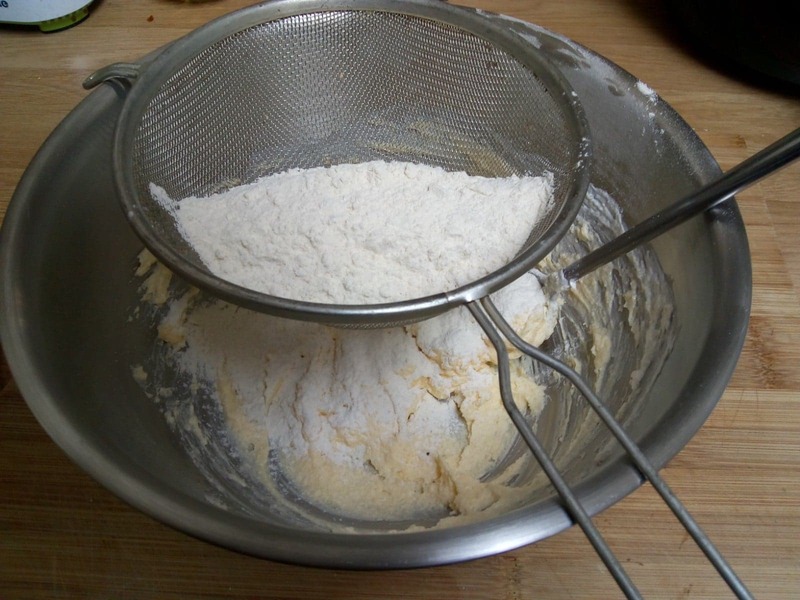 You're supposed to push the dough through the holes in a colander to make tiny egg noodles. We tried that but it wasn't working and made a terrible mess, haha. So we used teaspoons to scoop up tiny bits of the dough and drop it in the boiling water. The tiny scoops of dough got increasingly bigger as we lost patience with it. 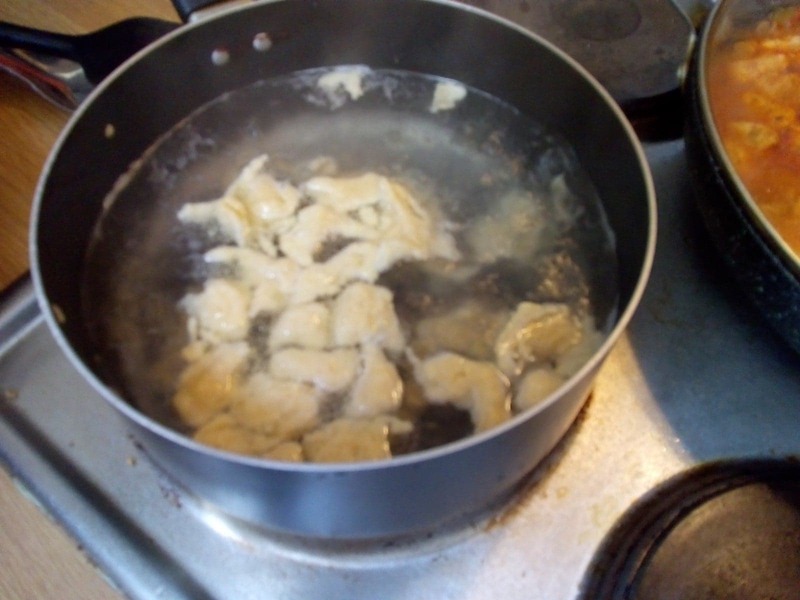 Cook the noodles for a minute or two in the water until they float up. 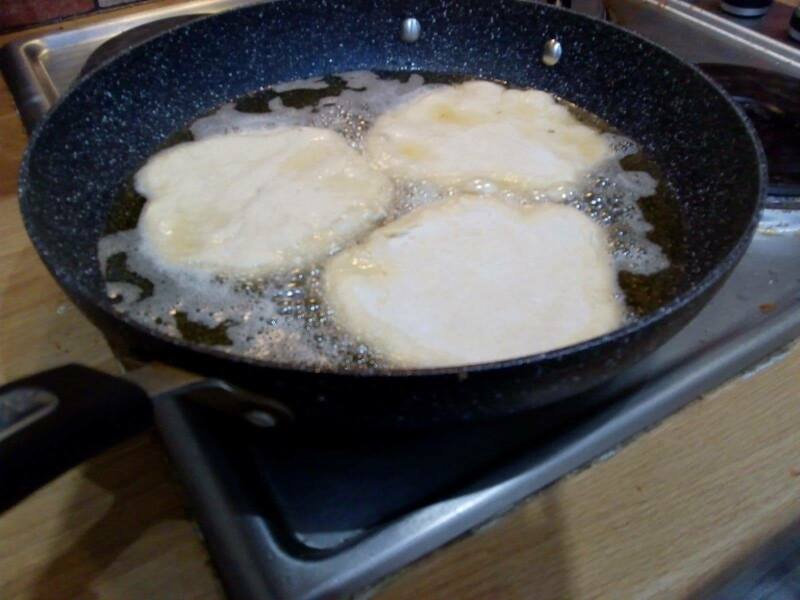 Then use a slotted spoon to take them out of the pan. 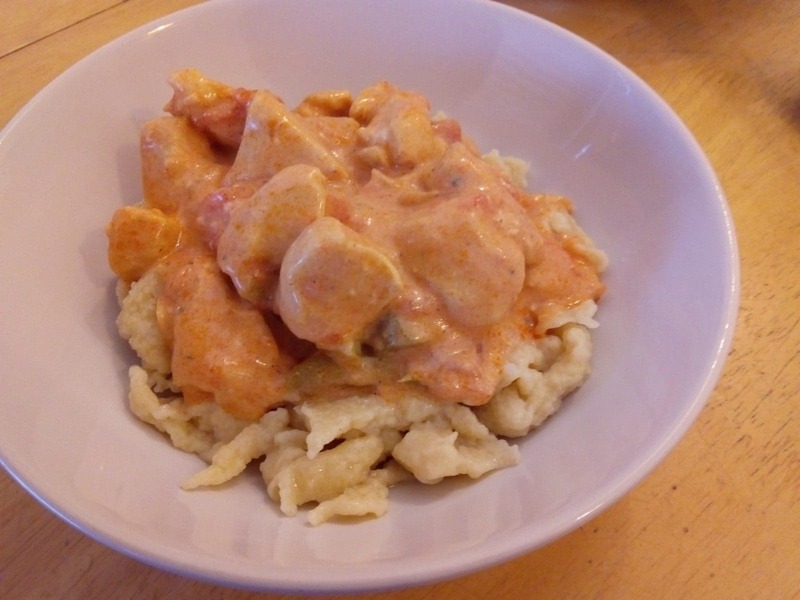 We had our Nokedli with the Chicken Paprikash. The noodles looked a little unusual but they tasted great with the Paprikash. Mixed in with the sauce you couldn't really tell if you were eating chicken or egg noodles. 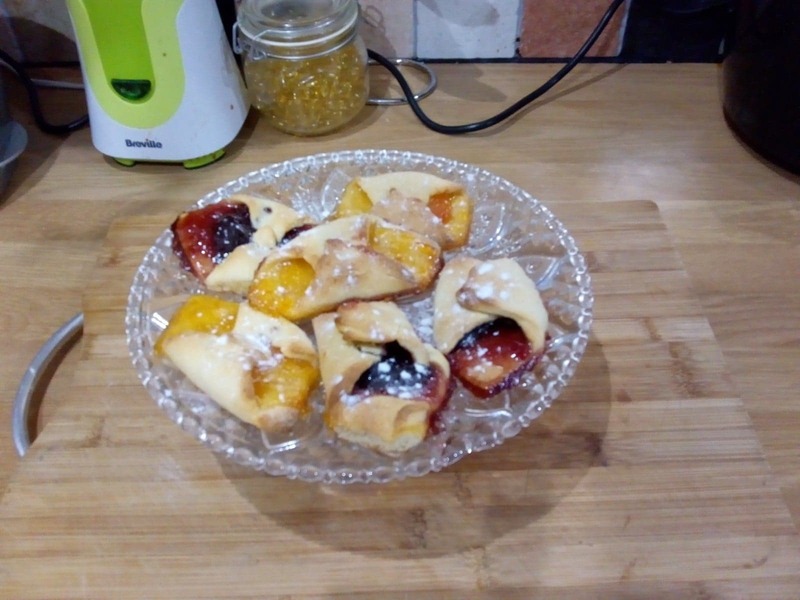 They were firm to the bite but also soft. Not much of a taste on their own but pasta and rice are quite the same. I'm not sure we'd make them again as it's a bit messy and time consuming but we were both glad to have tried them. H is for Hungary! I made Hungarian Goulash in 2014 for my Hungary blog entry. 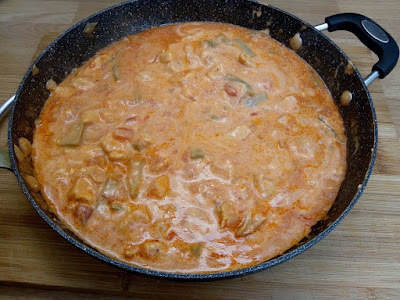 It was one of our favourite foods I made for the blog and one we've made many times since. 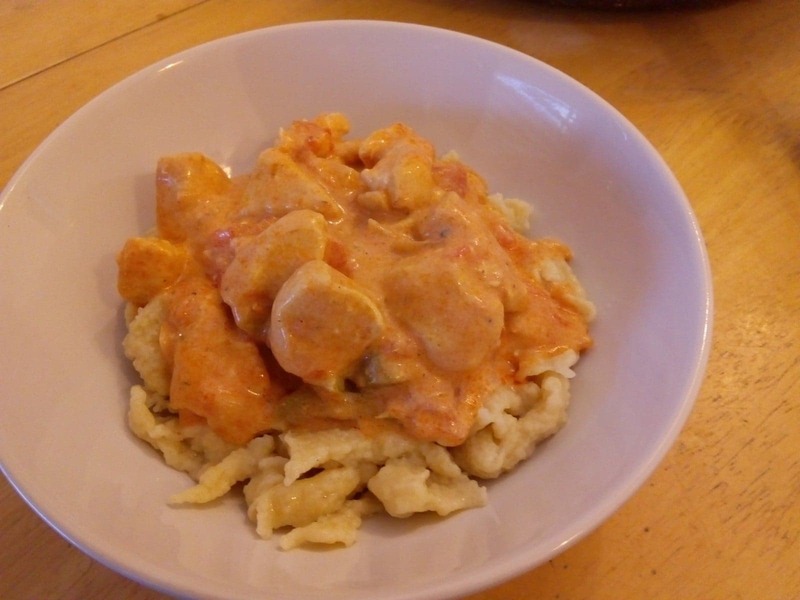 So we're keen to try more foods from Hungary to see if they live up to the Goulash. This recipe seems just the kind of one-pot dish we love to make. Simple but delicious! 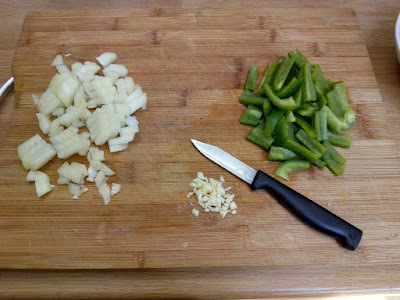 Chop up the onion, garlic and pepper. Melt the butter in a frying pan and saute the onion until softened. Add the chopped chicken breasts and saute until starting to brown. 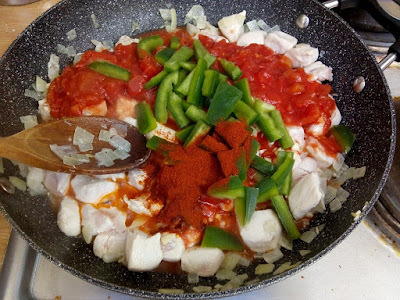 Next, add the tomatoes, green pepper, garlic and paprika. Add the water and stir it well. 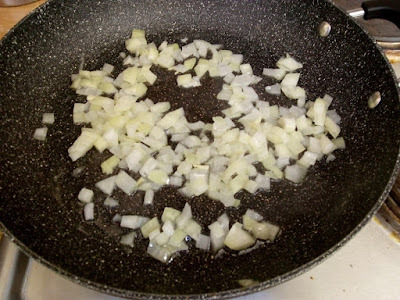 Bring to a boil and then reduce the heat. Cover with a lid and simmer for 20-25 minutes. 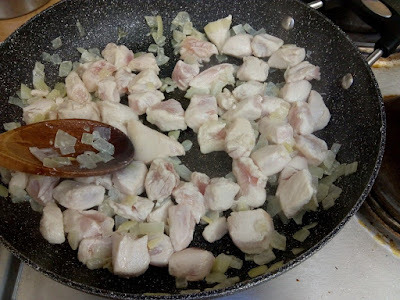 When the sauce has thickened enough remove the pan from the heat. 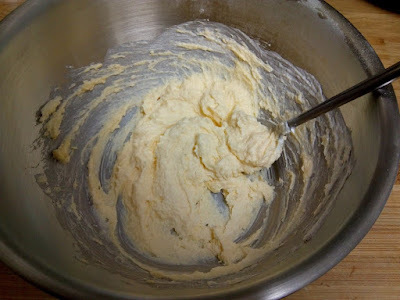 Stir together the sour cream and flour into a paste. Stir the paste into the paprikash to further thicken the sauce. 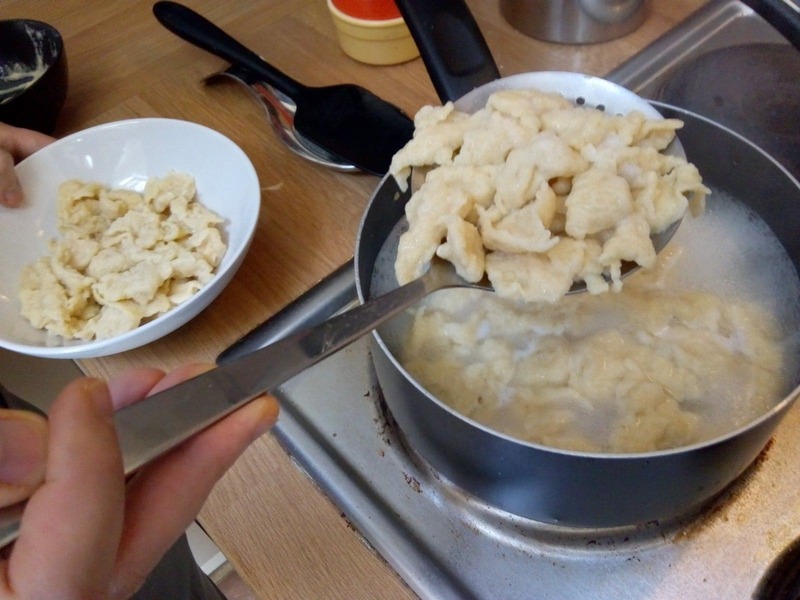 Serve over Hungarian egg noodles called Nokedli (I'll be posting the recipe to make them next week). Or as an alternative serve with rice. We really enjoyed this one. It was simple to make as predicted and did indeed taste delicious. 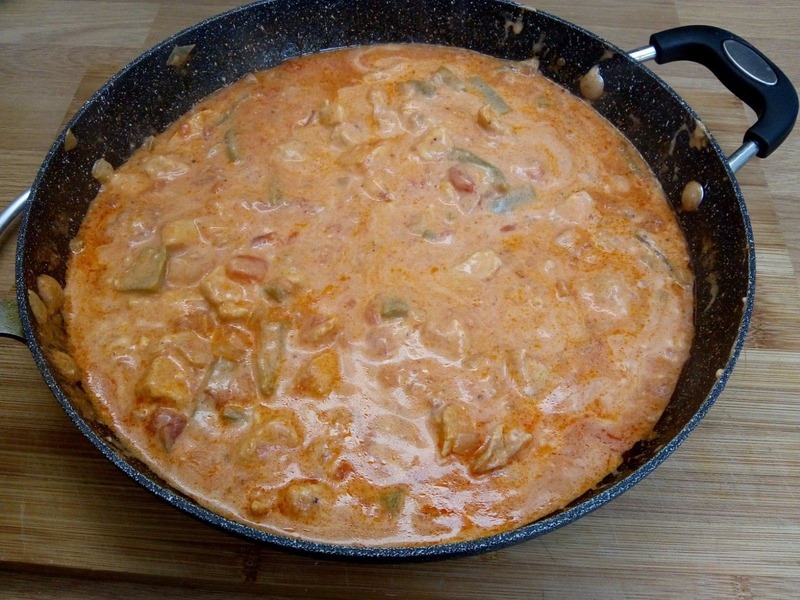 It was nicely spicy from the paprika also lovely and creamy thanks to the addition of sour cream. 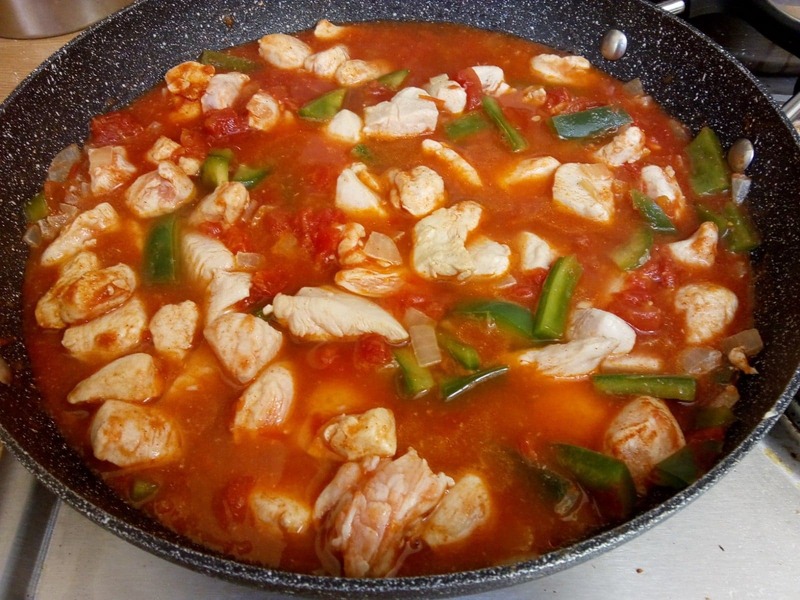 Hungary does a really good job with this kind of dish, the sauce always makes it stand out as ideal comfort food. Yum! 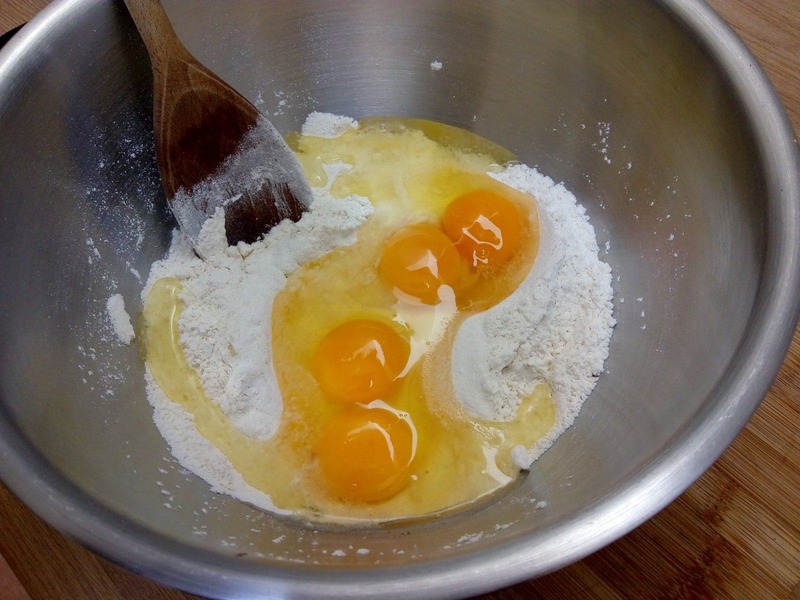 Break your eggs and let the whites fall into a mixing bowl. 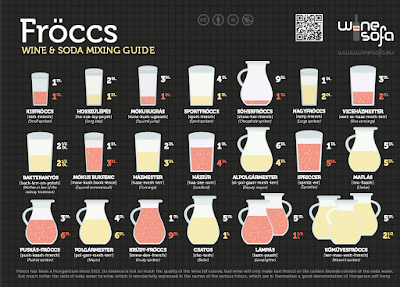 Add 1 tablespoon of sugar and half the salt. Whisk until the egg whites form soft peaks. 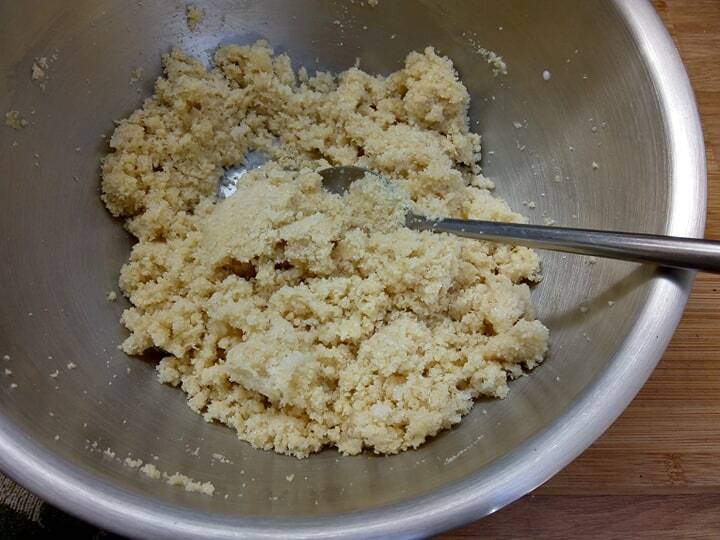 Mix in the ground almonds, rest of the sugar and salt. Wet your hands with lemon juice and then roll into small balls of dough. 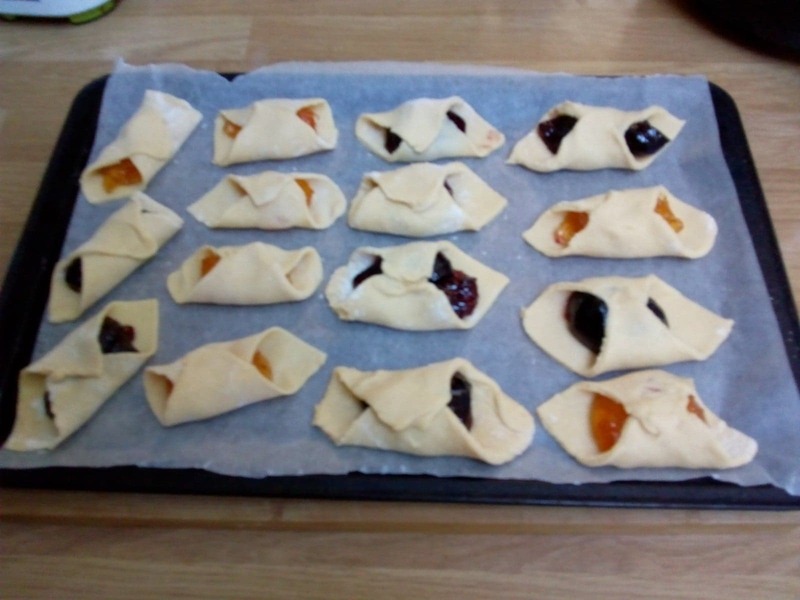 Flatten them slightly on a tray lined with baking paper. 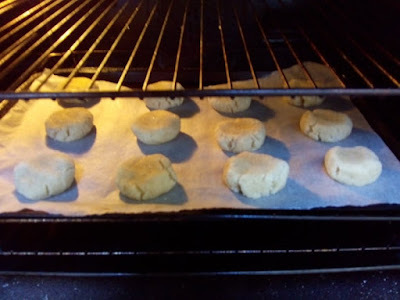 Bake in the oven for 20 minutes on 160 C.
Remove from the oven and leave to cool for a few minutes as the cookies will firm up a bit. 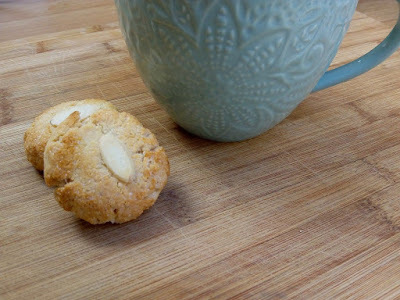 Amygdalota are the perfect little sweet treat. Crumbly, sugary and soft. I really liked the grainy texture of them along with the almond flavour. 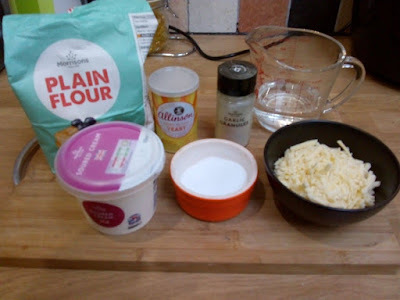 There's no flour in this recipe which makes it ideal for people avoiding gluten. I don't often bake with ground almonds but I do fondly remember a loaf cake my Nana used to make. Maybe it will be a new beginning after all, a new start for me and ground almonds! Or in English, Fried Courgette Fritters. 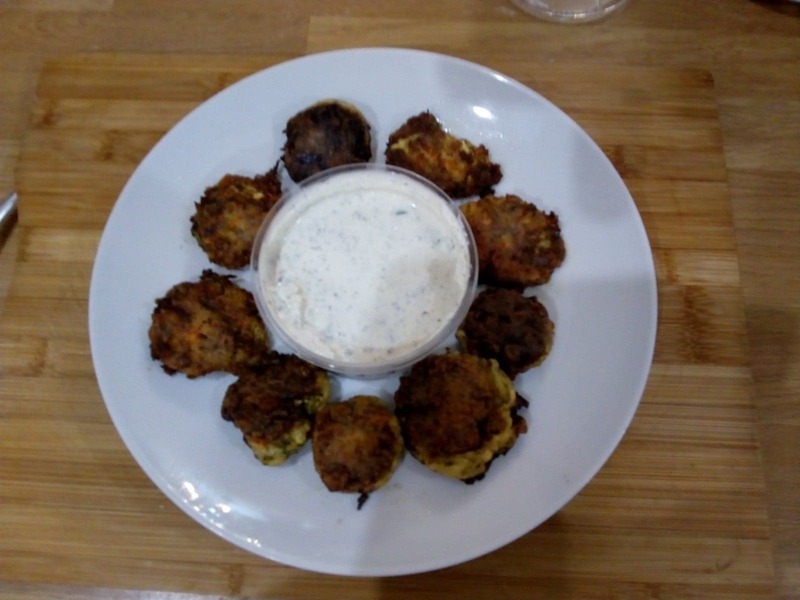 These fritters are often served as meze along with some tzatziki to dip. 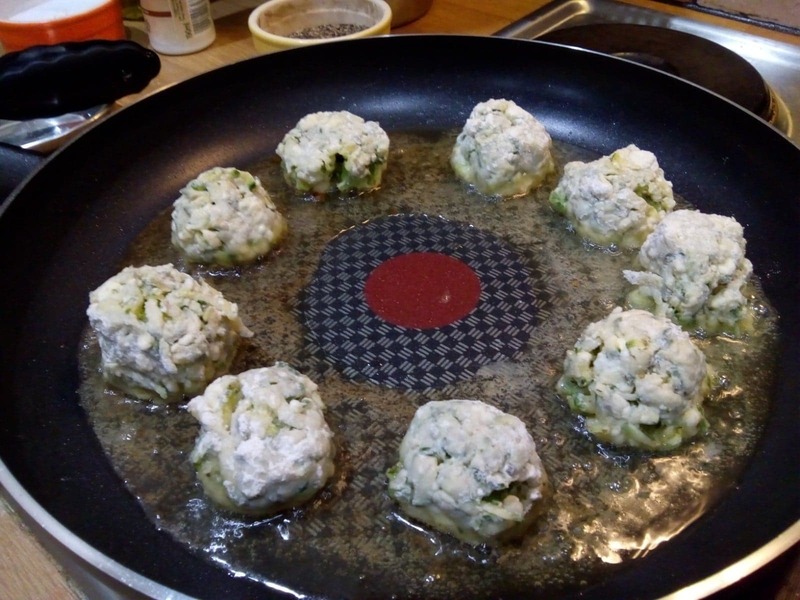 Several hours before you want to make these fritters, grate the courgettes and leave them to drain over a bowl to reduce the moisture in them. I came back to my grated courgettes and saw that no moisture had dripped out of them so I squeezed them with kitchen roll to get rid of excess moisture. When they're as dry as you can get them add the herbs, feta, salt and pepper to the bowl and mix well. Make small balls of the mixture and roll in the flour. Keep going until you've used all the mixture. Place the balls in a pan with some oil, shallow fry until crisp and brown on the outside but still soft in the middle. 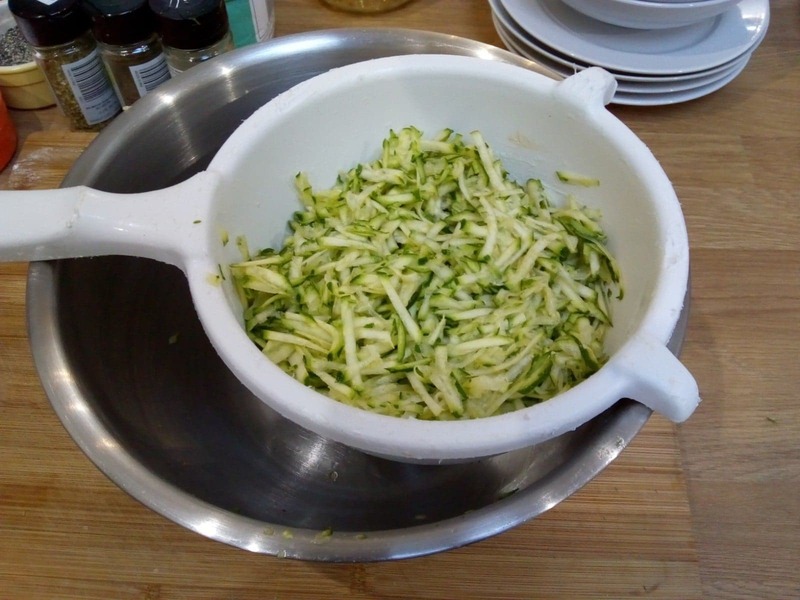 Drain on kitchen towels and serve with tzatziki. I really enjoyed these, they had a lovely flavour and went really well with the tzatziki. My mixture was still a bit too wet and they didn't hold together perfectly but they still worked. I liked that they had a crunchy crisp exterior but a creamy soft middle. Very nice!